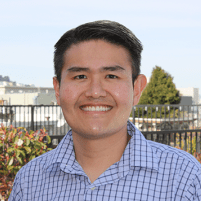 Dr. Lukman has extensive experience in orthodontic treatments aimed at correcting all types of alignment issues in both pediatric and adult patients throughout the Mission District area, so every patient can enjoy better oral health and a more attractive smile. How can I tell if I need orthodontic treatment? Sometimes, the need of orthodontic care is obvious – you have one or more teeth that are crooked and that need to be aligned to improve your appearance as well as your oral health. But other times, the need may not be so apparent. In either case, the decision of whether or not to have treatment, or whether you even need treatment, begins with a thorough evaluation by your dentist who is skilled in identifying bite balance and alignment issues – even minor ones that may have escaped your notice, but which can wind up causing significant issues in the future, including a significantly increased risk of decay, gum disease and tooth loss. How does orthodontic treatment improve overall oral health? Having straighter, better-aligned teeth isn't just about aesthetics – it's also about oral hygiene. When teeth are straighter and properly spaced, they're much easier to care for and to keep clean, and they provide far fewer places for harmful bacteria to hide, so your teeth and gums stay healthier. Plus, aligning your teeth can help you avoid bite-related issues like temporomandibular joint disorder that can cause chronic headaches, jaw pain and other symptoms, as well as uneven wear that can expose your teeth to decay and root weakening. Will my dental insurance cover the costs of my orthodontic care? That depends on your insurance plan. Plan coverage can vary widely, from no coverage to partial coverage to complete coverage. Ask your plan administrator about your coverage levels, or ask our staff to inquire. We can also help you find financing plans that can enable the cost of your care to fit in your budget so you can afford the straighter, healthier, more attractive smile you've been hoping for.